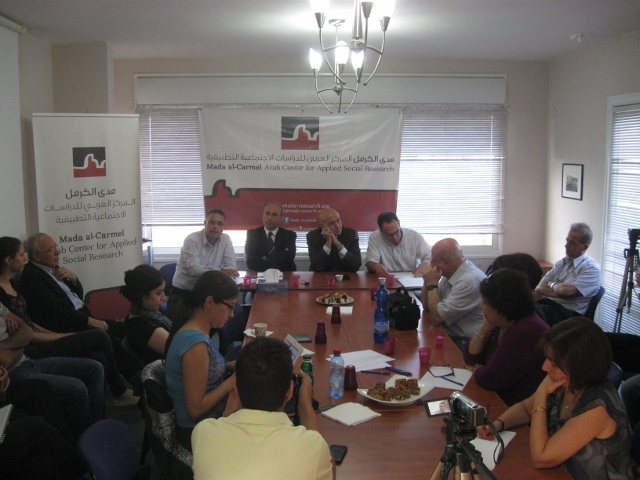 In May, Mada al-Carmel discussed the effect of the economic policies of the Israeli government on Arab citizens: building an economic development project inclusive of the Arab citizens of Israel is essential and necessary. 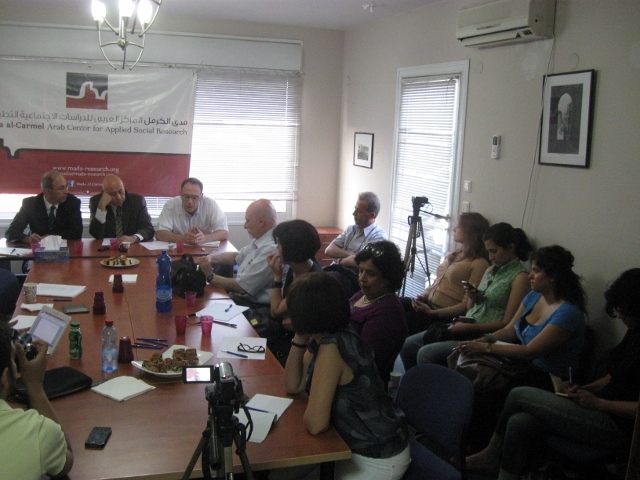 The Israel Studies Program held a seminar last week at Mada al-Carmel—Arab Center for Applied Social Research in Haifa, entitled "The effect of the new Israeli government’s economic policies on Arab citizens.” Dr. Raja al-Khalidi (head economic researcher at the United Nations Conference on Trade and Development [UNCTAD], Geneva, Switzerland), MP Dr. Hana Soid (The Democratic Front for Peace and Equality [Jabha]), and MP Dr. 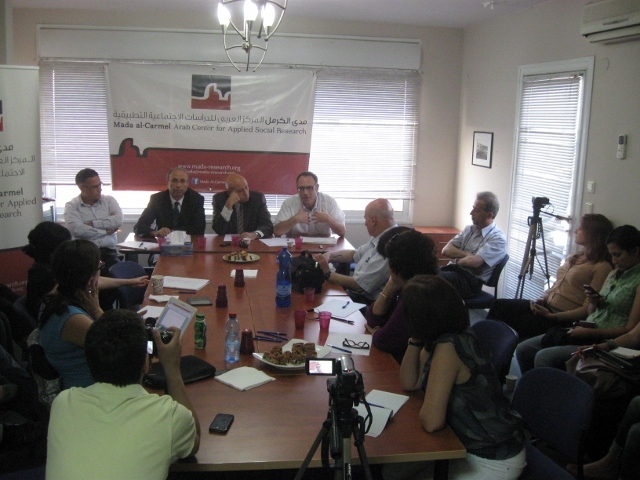 Basil Ghatas (The National Democratic Assembly [Tajamoa]) all participated in the event. 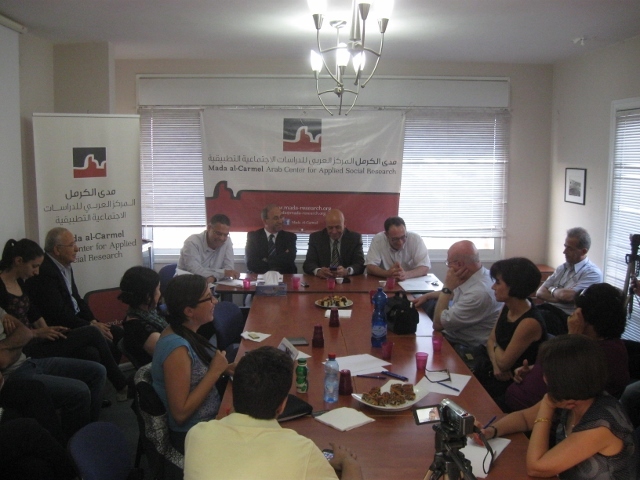 Conducting the seminar was researcher Mtanes Shihadeh, coordinator of the Israel Studies Program at Mada al-Carmel. 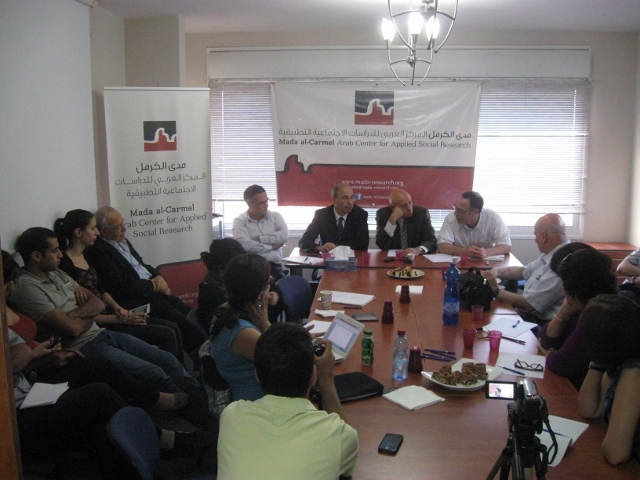 Shihadeh opened the seminar, reviewing changes and the pursuit of neoliberal economic policies of the Israeli Government, discussing projections for the effect of these policies on the Arab populations, especially under the current economic plan put forward by Finance Minister Yair Lapid. Shihadeh pointed out that this plan will cause huge damage to Arab families, increasing the poverty rates among them by reducing their income of 10%. Shihadeh asked about the possibilities for the Arab community to deal with these policies in current circumstances and in what manner they could respond. Dr. Hana Soid addressed the effect of the Arab and Arab-Jewish parties on government decision-making especially concerning the economy. He said that the Arabs are the most prominent victims of neoliberal economic policies and the victims of racial discrimination, explaining that the civil-economic status makes us the most affected from the budget cuts and the imposition of new taxes. Hana asked about available approaches to change the economic situation of the Arab populations, Parliamentary work, considering its limitations, in addition to Arab participation in protests, and their economic and political struggles. And he responded that demands put forward for a comprehensive economic development project for the Arabs in Israel, must be based on “ideas economy” (such as High-Tech) using the financial sector as an essential engine to development, without eliminating the targeted claims on the budget and changes in economic policies. Published in Events, isrstudiesevents, Tagged economics, political mobilization, political parties, political persecution.